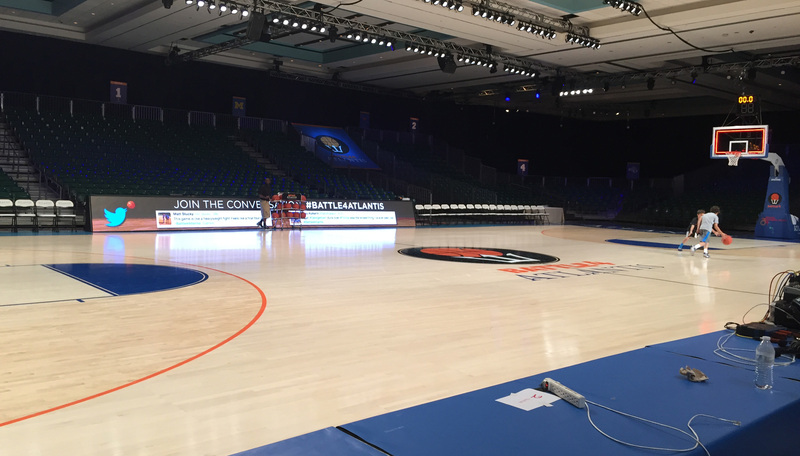 Michigan and Connecticut will tip off tonight from the Bahamas as they play their first game of the Battle 4 Atlantis. Tip-off is tentatively scheduled for 9:30 p.m. (or 30 minutes after the Texas-Texas A&M game). Join the discussion thread after the jump for live updates from Atlantis and share your thoughts on the game. Michigan and Connecticut will tip off tonight from the Bahamas as they play their first game of the Battle 4 Atlantis. Tip-off is tentatively scheduled for 9:30 p.m. (or 30 minutes after the Texas-Texas A&M game). The game will be broadcast on AXSTV which is channel #340 on DirecTV or channel #383 on Comcast in Ann Arbor. For more information about how to find the game read here. Join the discussion thread below for live updates from Atlantis and share your thoughts on the game.